Loren is the Head Strength and Conditioning Coach for the Denver Broncos and owner and founder of Landow Performance. He has been a National and International presenter for the leading organizations in the performance field. Before being hired by the Denver Broncos, Coach Landow worked with over 70 NFL All-Pro’s and over 20 first round draft selections. 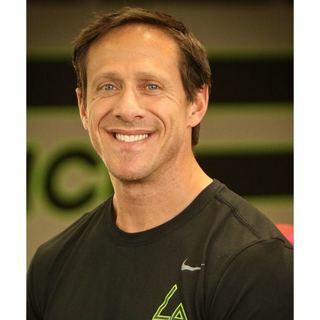 Beyond just professional football, he has trained thousands of athletes of all ages and abilities, including over 700 professional athletes in the NHL, MLB, UFC, WNBA and Olympic medalist. Andrea Hudy is currently the Assistant Athletics Director for Sport Performance for The University of Kansas. Since her arrival in 2004, Hudy has handled the strength and conditioning responsibilities for the KU men’s basketball team. Including the 19 Jayhawks that have been drafted in the National Basketball Association, she has worked with 39 former student-athletes who went on to play in the NBA. Hudy came to Kansas after nine-and-a-half years at the University of Connecticut, where she worked closely with the Huskies’ national champion men’s and women’s basketball teams. In all, Hudy was part of eight national championship teams while at Connecticut. In Jan. 2013, Hudy was named the National College Strength and Conditioning Coach of the Year by the National Strength and Conditioning Association for her dedication to improving athletic performance with safe and effective science-based programs. In summer of 2014, her first book, Power Positions, was published with the potential for more books in the future. Hudy earned her bachelor of science degree in kinesiology at Maryland and her master’s of art and sport biomechanics degree from Connecticut. She is pursuing her MBA at KU. She is a certified strength and conditioning specialist by the National Strength and Conditioning Association and a USAW Level I Coach. Marcus "Goodie" Goodloe Ph.D. is a teaching pastor, motivational speaker , mentor and author. A Compton, California native, Goodie travels around the country mentoring students and educators, business professionals, athletes and entertainers, and faith communities on a range of issues including cultural and interpersonal relationships, leadership, team and synergy, character formation, and faith. In the sports and athletic fields, he has worked with the Oklahoma University Sooners, Dallas Baptist University Athletics, Southern Mississippi, University of New Mexico, Fellowship of Christian Athletes at the national and state levels, and professional teams including the NFL's Oakland Raiders and Green Bay Packers.